(MoneyWatch) According to VeriSign (VRSN), more than 6 million domain names were added to the Internet in the fourth quarter of 2012, bringing the total number of registered domain names to more than 252 million worldwide. Somewhere in those hundreds of millions of names may be one you really want, one that appears to be unused or for sale. Countless domains are bought and "stocked" by aftermarket resellers, and others are bought by prospective users who never wind up doing anything with them. The aftermarket domain business can be tricky and frustrating -- sometimes you can't even get as far as finding and contacting the current owner. So what do you do when you see a URL out there that you'd like to buy and know or believe might be for sale? 1. Domain owners and/or sellers aren't always easy to identify, connect with and approach with a purchase inquiry. A good broker has the experience, tools and resources to increase the likelihood of actually reaching the seller and starting the discussion. 2. Knowing who the actual buyer is (or being able to figure it out) can affect a seller's interest in doing a deal, and more importantly, may influence the price. If the seller knows or thinks you are from a substantial company, he is likely to take a deep-pocket position. A broker protects your identity, which establishes a more level playing field from the start. 3. Domain valuation is an inexact science. Of course, in the end, most things are worth whatever someone is willing to pay. But many factors go into the intrinsic value of a domain, including length of the URL, industry and branding considerations, search history, and potential buyer competition. A broker can give you an informed opinion about the likely range of values and tell you if your hopes or expectations are realistic ($750 for that sweet four-letter domain name? Not gonna happen). 4. Negotiating for yourself isn't always the best idea. You might be excessively eager to get the URL, emotional about your business, frustrated with the seller, or lacking experience in the domain game. A broker has none of those issues, knows the territory, and can stand toe-to-toe with the seller, which can increase the chances of a deal, and may get you a better price. On that note, be aware that most good domain brokers are open to negotiating payment structures and amounts, including incentive bonuses for negotiating a lower price. So it is conceivable that you could spend less -- even factoring in the cost of the broker's service -- than you would trying to go it alone. 5. You need to be sure your money is safe until the domain you bought is securely moved to your hosting account. There are many escrow payment services that won't release funds until you confirm that you got what you paid for, but an expert broker will know the best way to handle the transaction, including the critical technical aspects of being sure the domain is transferred properly and is really all yours, irrevocably, before the money changes hands. As for finding a reputable broker, like most things, start with a web search. The folks at domainagency.com (who do provide brokerage services in addition to reselling domains directly) said that most of the brokers who show up on the first page of a search are known entities in the industry. But they recommended doing the same homework you would with any prospective service provider: get references (and walk away if none are offered), look at sites they've bought and sold, look at the quality of the broker's own website, ease of contact, etc. If possible talk to a live person -- that alone can be very telling. 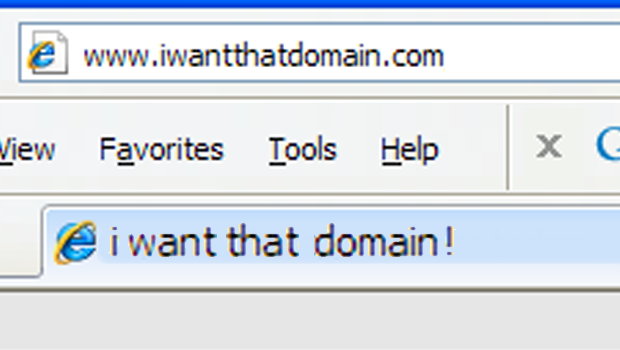 Certainly not all domain transfers require an intermediary. If you are buying from a person or company you know, or purchasing an inexpensive, published-price URL from a vetted reseller, there's little risk in doing it yourself, as long as one or both parties knows how to properly transfer registration. But if you are going after a more important, potentially expensive address owned by an unknown party, you might do well heeding the Berkes' advice.